I just love hedgehogs! I have always loved them. What’s not to love!?! My favourite designs at the moment are these gorgeous hedgehog heart pendants with inset gemstones. They are a great gift for any hedgehog lover and are that bit more individual with a birthstone. I can also make hedgehog designs with handmade glass beads. I only have a tiny number of these gorgeous handmade glass lampwork beads so they are very special. I also make hedgehogs that can swing from your ears as well as hang from any Pandora charm bracelet. You can find out more about my story and why I love hedgehogs so much here. All my silver hedgehog jewellery supports my work helping to save our wild hedgehogs. You can find out more about me and my work here. 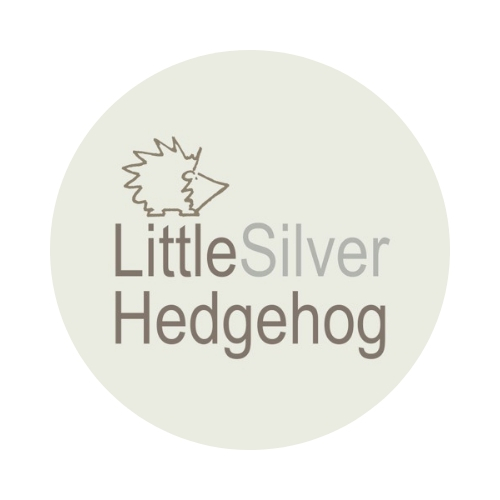 To check out my full range of silver hedgehog jewellery, please visit my online jewellery shop.